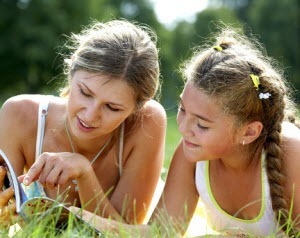 Life Coaching Program for Kids uses Stories & Activities to Empower Kids! the greatest impact on their lives? Warning: This isn’t taught in school, but should be! Our kids are learning their ABCs and 123s, but why aren’t they learning the one thing that has the greatest impact on their happiness, confidence, and success in life? Have you ever wondered why some kids have “a good head on their shoulders” while others are easily influenced by peers? Have you ever wondered why some kids are focused and goal-oriented while others seem to drift through life? 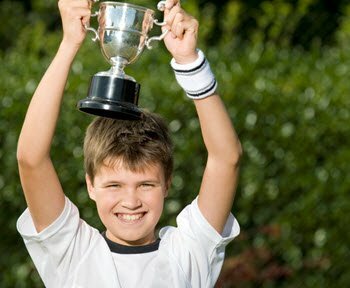 Have you ever wondered why some kids have powerful self-esteem while others never feel they are quite “good enough”? Have you ever wondered why some “A-students” struggle in the real world while some “C-students” thrive? Have you ever wondered why some kids stay connected to their parents while others turn away from them? Have you ever wondered how someone like Oprah Winfrey was able to rise from poverty to become one of the most influential women in the world? 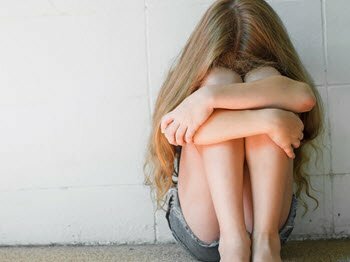 Why do some kids struggle? It’s how they choose to think about themselves and what is possible for their lives. …and they certainly weren’t born knowing how their mind works! the question is, where is it coming from? If kids aren’t proactively taught how to develop a mindset based on empowerment, it will evolve on its own as a result of exposure from the media, influence from their peers, and how they decide to interpret their life experiences. This often leads to stressed out kids – something none of us want for our kids! I know something about this because I was definitely a stressed out kid – by the time I hit college, so much of my self-esteem was wrapped up in what I accomplished that I was quite the workaholic – I didn’t have any balance in my life. It wasn’t until after college and I discovered the field of personal development that I learned how to separate my achievements from who I was. And I learned how to bring balance and joy into my life. Achievement was still important, but it didn’t rule me – and it didn’t define me. Why didn’t I learn this when I was a kid? I would have been so much happier and less stressed out. my kids would learn these skills. Over the years I became an expert in personal development, coaching, and mindset work…And when I did become a Mom, I started writing short stories to help my kids learn the skill. but what I could do is help them develop it in themselves! I realized that these skills were something that all kids deserved to learn so I created The Adventures in Wisdom Life Coaching Program for Kids™ – a mentoring curriculum that uses stories to help children learn how to handle the ups and downs of growing up without getting down on themselves; to think for themselves and make good decisions; and to go for their dreams and make them happen. We now have parents around the world using our stories to empower their kids! You are looking for a fun and engaging life coaching program for kids curriculum to teach them mindset skills and life skills to soar! You want your kids to know how to handle the ups and downs of growing up without getting down on themselves. You want your kids to know how to handle mistakes and disappointments without giving up on themselves. You want your kids to learn how to think for themselves, make good decisions, and stand up to peer pressure. 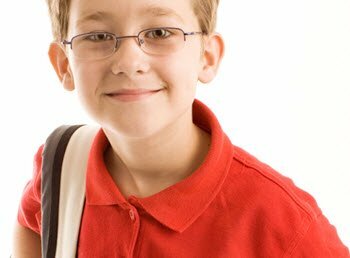 You want to give your kids the best chance of being ready for middle school and their teenage years. You’ve done your own personal development work (Oprah’s life class, Tony Robbins, The Secret, Landmark Forum, etc.) and you want your kids to learn this powerful way of thinking. “Using stories to teach these skills is brilliant. 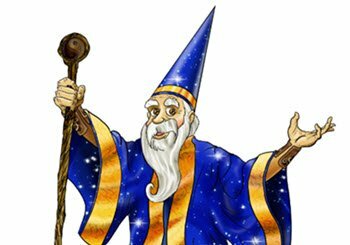 Sometimes my kids don’t want to listen to me but they will listen to Wyatt the Wise Wizard. We listen to the story and then talk about the lessons that Wyatt is teaching. It give me a great way to add my 2 cents without lecturing, preaching, or nagging. The other day my son came home really upset because he did poorly on a test. We pulled out the story, “Afraid to Fail Fred” and worked on the lesson to put it in a box. He felt so much better after that and even told me his plan to do better on the next test. Then he thanked me! What more could a Mom ask for. Thank you for helping me help my son. The Adventures in Wisdom Life Coaching Program for Kids™ curriculum is different than any other parenting/mentoring program out there. This curriculum is not about how to discipline your kids…it’s about how to empower your kids to develop powerful thinking skills – mindset skills – that will enable them to handle the ups and downs of growing up so they don’t get down on themselves or give up on themselves when things don’t go their way. Kids learn a powerful way of thinking so that they are confident and prepared to choose the righ path in life, to handle anything that comes their way, and to go for their dreams. just start sharing the stories with your children! by Wyatt the Wise Wizard! 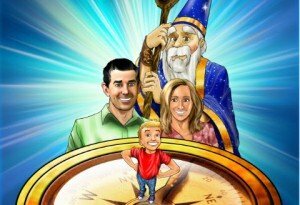 Wyatt the Wise Wizard teaches skills through 27 fun short stories! Stories are a great way to teach these concepts because children remember stories – they are fun, engaging, and a non-threatening way to help kids learn how to navigate life. Through the stories, kids see how the skills are used to solve real-life problems that they might face at school, with their friends, or at home. Let’s talk about the skills you will help your kids develop! to systematically step kids through 6 areas of development. MindPower is the secret behind why some people live a life of their dreams while others seem to struggle…never quite creating the life they imagined or dreamed of. Kids learn how their thoughts create their experiences and what they can do to shape their thoughts. 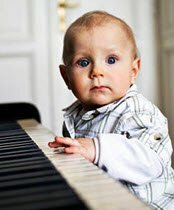 Kids learn how both their conscious mind and their subconscious mind work and how belief systems are at the core of shaping how they experience their lives. They learn secrets as to how their mind works and how to build a belief system based on possibility. 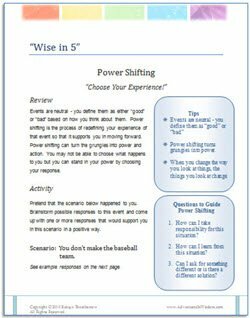 The MindPower Segment lays the groundwork for the rest of the Adventures in Wisdom™ segments. What will kids do when grownups aren’t there? but also one of the top reasons why kids get into trouble. To stand up to peer pressure, kids must decide who they are and what they stand for; choose what they want for themselves before they are in a tough situation; and learn how to say “no” to their peers and “yes” to themselves. “My son who is 8 years old enjoyed the story of “No One Will Know Nelson” and the associated items. The hands on activity using food dye and water to demonstrate how a seemingly little lie can cloud trust between two people was a very powerful experience. He now talks about “Nelson” in his everyday and has ownership of what integrity in action looks and feels like. We use the “Lunch Box Notes” that come to my email inbox every Sunday without fail, not only to put in his lunch box, but as conversation starters also. It is always interesting to hear his take on the messages. We have found “Adventures in Wisdom” to be a wonderful additional stepping stone to the lessons we are striving to convey. 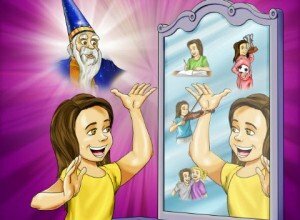 How kids feel about themselves and whether or not they believe in themselves will directly impact their happiness and what they create in their lives. Although you can’t give your kids strong self-esteem and self-confidence… you can teach them to develop it in themselves, from the inside out, so they can feel good about themselves and believe in themselves no matter what comes their way. D – Dream Big, Live with Purpose, and Make it Happen! Someone thought of an idea…believed in that idea…and took action to make it happen. 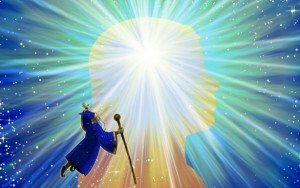 How to use the Law of Attraction tools of Visualization, Affirmations, and Gratitude to “program” their mind for success. whatever that means to them! These are the dragons that keep so many people from their dreams….Help kids learn how to slay these dragons! How to move through fear and “go for it”. 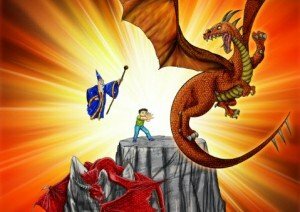 Learning to slay the dragons helps kids create magic in their lives! “I loved everything I have found about Adventures in Wisdom! It is actually exactly what I have been looking for. My child is 10. His teachers all say he lacks self confidence, which is baffling to me. He is my only child and my whole world! I have learned some of the reasons through the information I received from Adventures in Wisdom! The information was mind-opening and I appreciate it…. I know Adventures in Wisdom can give my son the tools to make his life what he wants it to be. I can’t role model every point of view but I can give him the tools to create his life with his own empowerment. So as you can see, your kids are going to learn some very powerful skills. These are skills that kids don’t learn in school…and skills that most grownups don’t even know. how to teach these skills to my kids? 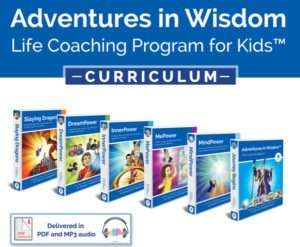 The Adventures in Wisdom Life Coaching Program for Kids™ is a “home-study course” and is designed for BUSY families. 1. First, the curriculum is structured using a modular format which makes it very flexible for you to use with your clients. Each of the 27 skills is taught through a separate skill book designed to take about 20 to 45 minutes depending on how much of it you do (just sharing the story and discussing it will take less time than if you do one of the activities as well). The separate skill books make the program great for “spot coaching”. If you’re dealing with a particular issue such as peer pressure, integrity, or dealing with change…just pull out the relevant skill books and review them with your kids (we’ll give you a list of common challenges kids face, and which skill books to review). The Mentor’s Guide contains background information and coaching tips for you. 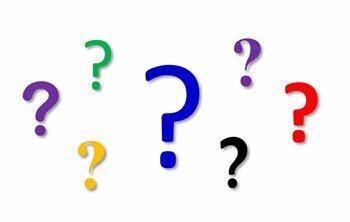 The Children’s Guide contains the story, discussion questions, activities, and Wyatt’s Wrap Up which summarizes the key points of the lesson. and they only take 5 minutes or less! 3. Third…You will receive a copy of both the MP3 Audio Package and the PDF Package – you can read the stories to your children, have them read the stories to you, or listen to the stories together. bedtime, or our favorite time…in the car! As parents, it seems like we’re always on the go with lessons, games, school events, and errands! With the Adventures in Wisdom life coaching program for kids audio program, you can listen to a story on the way out, and then discuss it on the way home. It’s a great way to turn car time into “coaching time”. For a training program that teaches over 25 critical skills you might expect to pay well over $2,500. 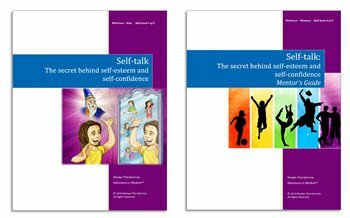 So we’ve put together a special limited time offer, for parents like you who are ready for your kids to develop a powerful mindset for happiness, confidence, and success in life. That’s right…for a limited time only you can get a $500 savings off our normal price. And you’ll also receive our Adventures in Wisdom™ Satisfaction! Are you ready to use stories to help your kids learn this powerful way of thinking? Are you ready to help your kids build resilience, self-esteem, and self-confidence? Are you ready to help them develop a strong inner compass so they choose the right path in life? Get your package today and you can share your first story tonight! I hope you and your kids enjoy these stories as much as my family has! P.S. If you’re like me, I’m sure you’ve looked at your kids and realized just how fast they are growing up. Every day your kids are developing thought patterns about themselves, how the world works, and what is possible for their lives. And even if your child isn’t facing an immediate challenge, kids don’t have a problem…until they do. The time to teach them is now – while they are young so they can use these skills as they enter middle school and their teenage years. When you build this “coaching” relationship early, you will be the one that your kids come to when they have a problem or need advice. Remember that what we do with our kids during the first 12 years of their lives will impact the rest of their lives…and ours too.